As Youssef Jebha walks past the lush citrus groves surrounding the town of Guerdane in central Morocco, he remembers the long period when the land was bare. Until a few years ago, the region’s severe water shortages laid waste to properties and drove residents from their homes and orchards. “Many people, especially the farmers, left the region because they couldn’t make a living,” says Jebha, who heads the Guerdane farmers’ cooperative. The problem? Citrus farming is water-intensive, and generations of farmers had been depleting vital groundwater faster than nature could replace it. As local aquifers dried up, farmers were forced to dig wells up to 600 feet deep, reducing groundwater levels by more than three meters every year. As thriving farms withered, residents and workers abandoned over 3,000 hectares of land. It was an environmental, social, and economic disaster—because in the Guerdane area alone, more than 100,000 people earn their living either directly or indirectly from citrus farming. 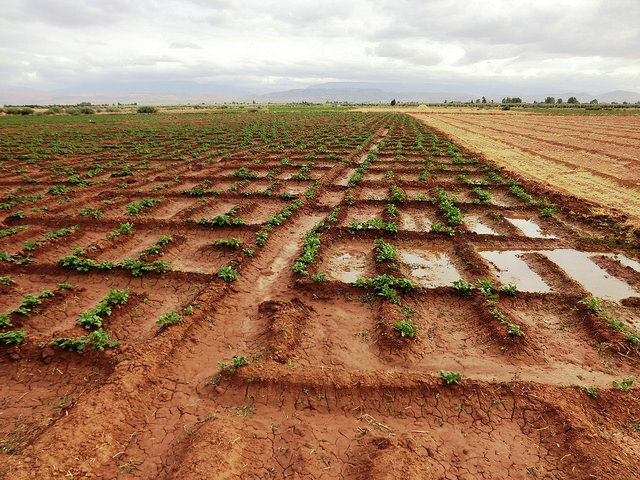 To confront the growing environmental damage and help farmers achieve sustainable growth, Moroccan officials hired IFC in 2004 to design the world’s first irrigation public-private partnership (PPP). IFC structured a project introducing drip irrigation that brought nearly $40 million in private investment into the region and created hundreds of local jobs. Read the full article via International Finance Corporation.